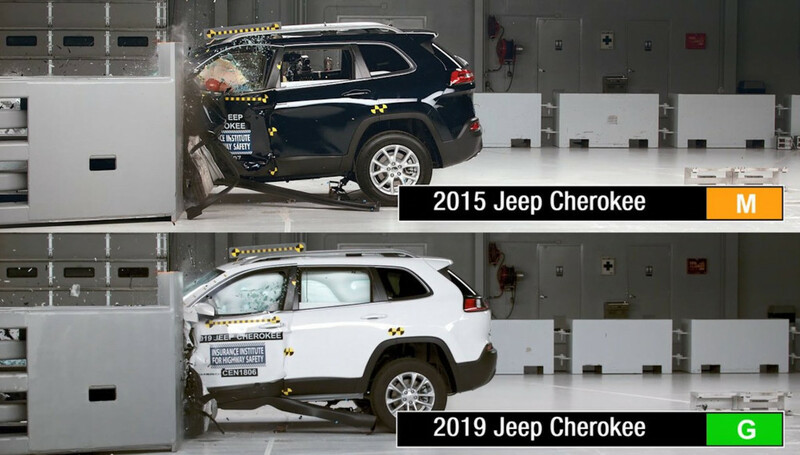 The 2019 Jeep Cherokee aced the IIHS' slew of crash tests and showed major improvement over its 2015 predecessor. 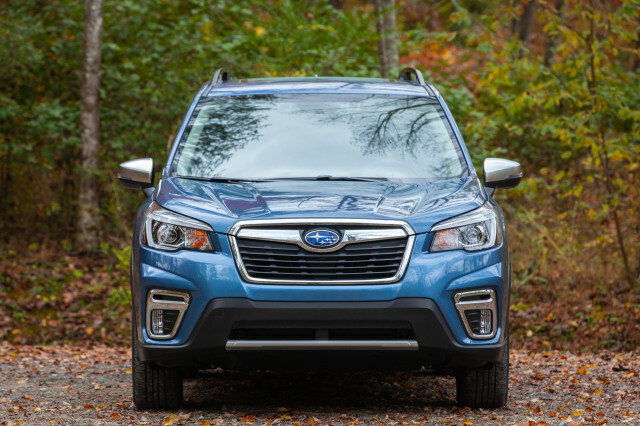 The latest version of the crossover SUV shares most of its bones with last year's model, illustrating how minor updates to a vehicle's structure can improve performance in crash tests. The IIHS last week published results for the mid-size crossover, which showed the Cherokee earned a "Good" rating in each of the crash tests. For crash avoidance and mitigation, the model also received a "Superior" ranking. With those scores, the 2019 Cherokee was on its way to a Top Safety Pick+. However, dim headlights were the crossover's downfall, like many other vehicles. The Cherokee's headlights earned a "Marginal" rating overall, with some models earning the lowest rank of "Poor." Passive safety measures helped improve and maintain the occupant space in the tough driver-side front small-overlap crash test. 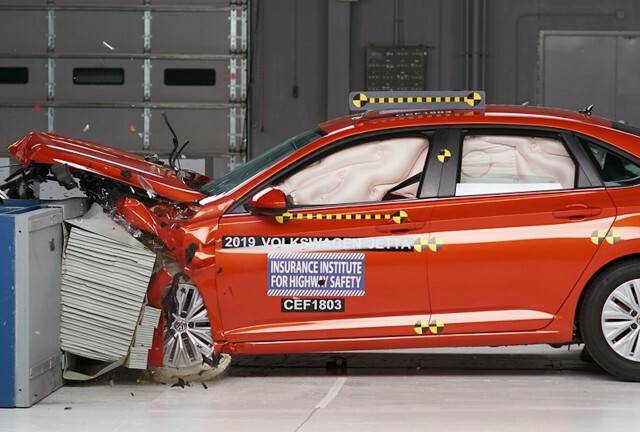 The IIHS also tweeted a photo showing the difference in the crash test results from 2015 vs 2019. It's clear the 2019 model keeps the driver and passengers far safer in the event of such an impact. The insurance-funded safety body noted the 2019 Cherokee features modified A-pillars, front door hinge pillars, and door sills that contribute to the extra protection in frontal collisions. Crash test dummies showed a low risk of any significant injuries in a frontal-overlap test of this severity. 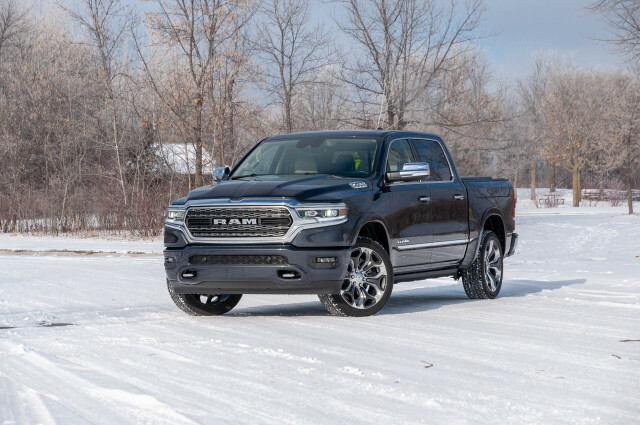 Aside from the structural improvements, the 2019 model also ushered in a moderate redesign of the exterior and smoothed out the controversial front fascia. The latest Cherokee also received a new engine option, updated infotainment system, revised transmission, and suspension tuning.